Normally a remedy is provided for the Major period lord Stone is worn for a weak ascendent, 9th or benefic house lord. When you should wear which stone or adopt which remedy is given in the following table along with its area of effectiveness. In each major period three options of stone are given. You can select any option by looking at the help you expect from the stone or remedy. To obtain the full benefic effects of stone, wear it while Moon is waxing on the specified day & time. Wearing it in the specified Nakshatra enhances the benefic effects of the stone. Take the stone of a size specified or greater in fractions of 1/4 Ratti rejecting fractions of 3/4 Ratti like 4-1/4 Ratti. Get it studded in the specified metal such that it touches the finger from bottom. Before wearing it light lamp & incense stick and meditate on your God. Clean the ring in fresh milk and then Ganga water. Perform pooja & recite the specified mantra 108 times. Then wear the stone in the specified finger of your right hand. After wearing the ring give alms as specified for that stone. 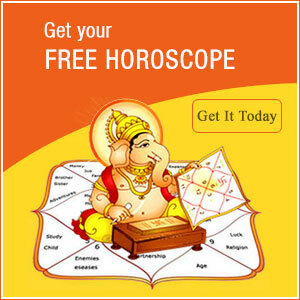 Generally Sade-Sati comes thrice in a horoscope in the life time--first in childhood, second in youth & third in old-age. First Sade-Sati has effect on education & parents. Second Sadesati has effect on profession, finance & family. The last-one affects health more than anything else. Ill effects of Saturn's sade-sati can be reduced by giving alms, performing pooja, fasting or reciting mantra. Om Pram Prim Praum Sah Shanaishchraya Namah To get benefic effects of sade-sati on health, mental peace, family happiness, finance & profession you are suggested for Maha-mrityunjaya Japa. Get the following mantra enchanted for 125000 times. Om Haun joom Sah Om Bhurbhava Swa Om You are also suggested to wear an iron ring made of horse-shoe or nail from a boat. Wear the iron ring in middle finger of right hand. Wear this stone in waxing Moon on Saturday in the evening half an hour before sun set. Pushya, Anuradha or Uttara Bhadrapad nakshatra on that day is preferred. Keep fast on that Saturday. Om Shan Shanishraya Namah After wearing the ring give alms. 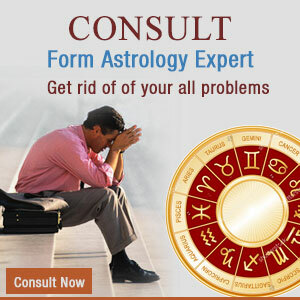 This will reduce the ill effects of Saturn giving peace and prosperity.